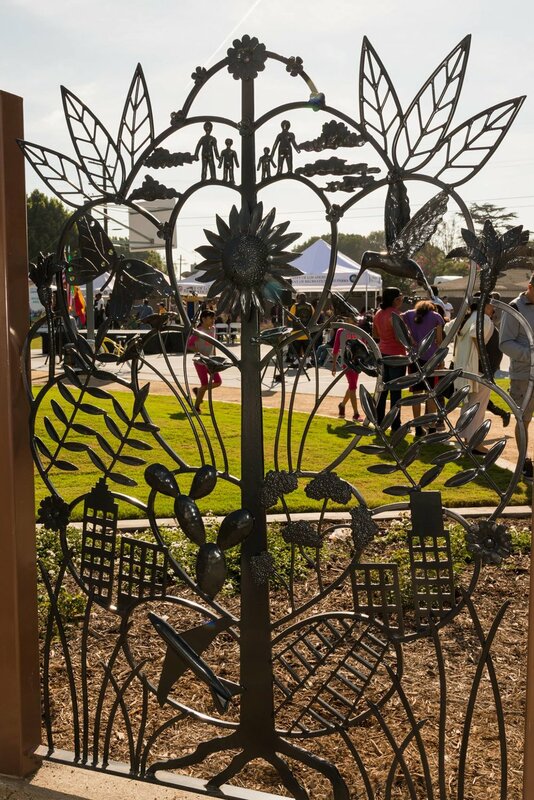 Withers & Sandgren celebrated a very special park opening last Saturday at South Los Angeles's new Jacaranda Park. We started this project in 2011. 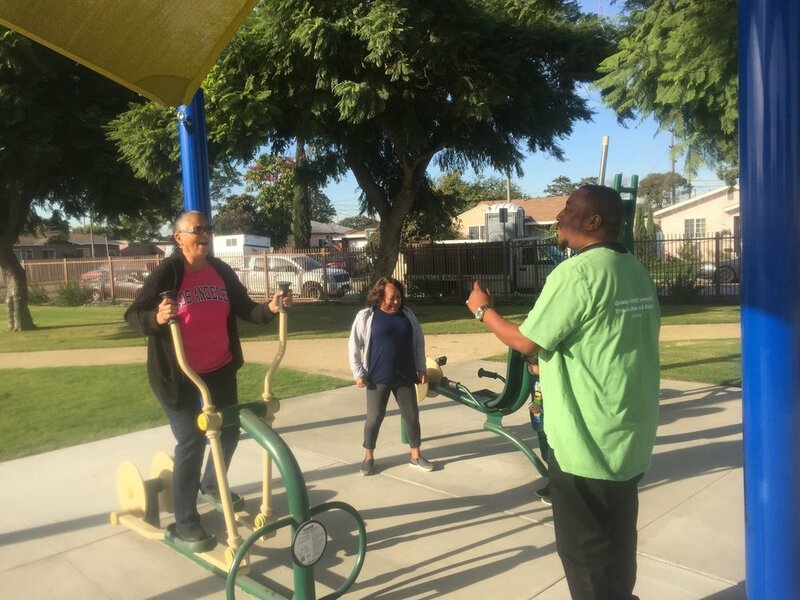 Six years later, our collective transformation of three long blocks of land has created the 6th largest City-owned park in South LA, and opens much-needed green space for children and members of the community! The park design is a reflection of the neighboring residents' request for many active uses that will attract park users at all times of the day, combined with the desire for a beautiful park space to be used for relaxation and family get-togethers in a lovely park setting. Proposed basketball half courts and fitness areas are interspersed with group picnic areas and seating areas to maintain an intensity of mixed recreational use at any given time. 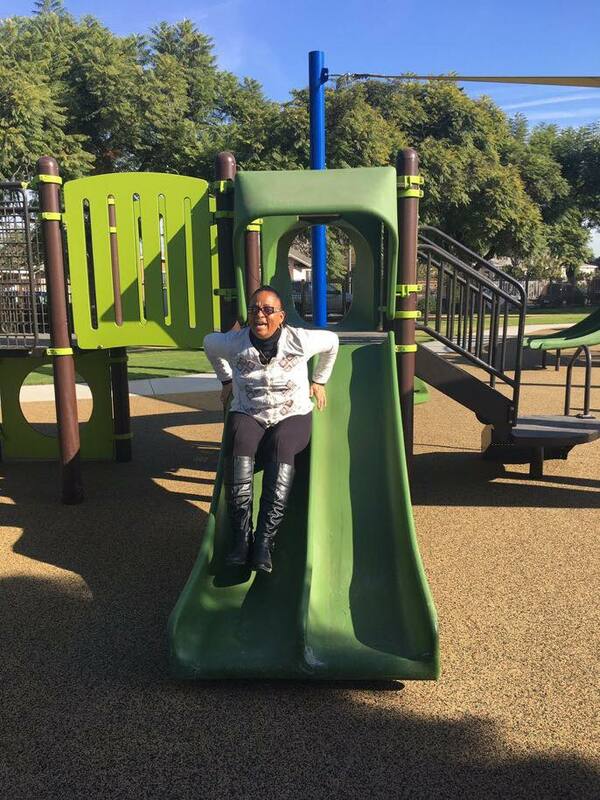 “Now my grandkids have a park to play in, and not dirt and rocks” - Kim Johnson, President of Jacaranda Park Advisory Board, who has lived across from “the field” since she was a child. "With Jacaranda Park, the Land Trust is thrilled to add over 5 acres of green space to a city where currently 2 out of 3 people do not have access to a safe park within walking distance” - Carl Cade, Chair of the Los Angeles Neighborhood Land Trust Board of Directors. With committed leadership from Los Angeles Neighborhood Land Trust, and partnership with the City of Los Angeles Department of Recreation and Parks (RAP), Department of Water and Power (LADWP) and funding from Prop 84 (2006 Park Bond), Rivers & Mountains Conservancy & other sources, Jacaranda Park is part of RAP's "50 Parks Initiative" program to address park disparity across the City. Withers & Sandgren worked with the community, Deborah Murphy's team and LANLT on the winning grant application, and designed the 5.35 acre parcel to provide new recreational opportunities for the approximately 12,321 youth and families in the community which lacked green space for many years. Park features include: walking/jogging paths that meander under the lush canopy of mature Jacaranda trees, outdoor fitness stations, a native plants demonstration garden, picnic areas, playground areas, family game tables, basketball half-courts, multi-use open spaces and turf areas, perimeter fencing, gates designed by artist James Naish, California-friendly landscaping and educational signs promoting waterwise landscaping. We're proud to see Jacaranda Park open and loved by the community, and can't wait for the Jacarandas to bloom across the park! *Select photos and text courtesy of LANLT, RAP and LADWP. Read more in On the Boards > Jacaranda Park. Checking on construction of our Wiseburn Walking Path near Hawthorne, a great project of the County of Los Angeles Department of Parks & Recreation. Solar lights, succulents, and a great new fitness path await the community. Ladybugs have already found their way to the native Cleveland Sage along the half-mile landscaped fitness path, and more trees, shrubs and succulents are going in each day! Read more in On the Boards > Wiseburn Walking Path. News, project updates and alerts about important issues. Jump to On the Boards for current projects in the office.